About "Area of Triangles and Quadrilaterals"
In this section, we are going to learn, how to find area of a triangle and a quadrilateral. The following postulates can be used to prove several area theorems. The area of a square is the square of the length of its side, or A = s2. 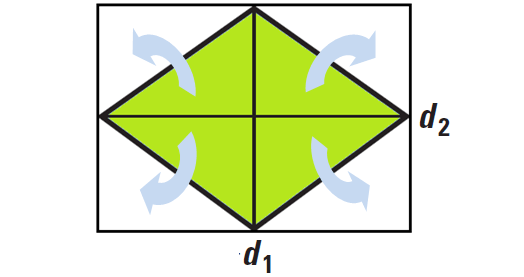 The area of a region is the sum of the areas of its non overlapping parts. 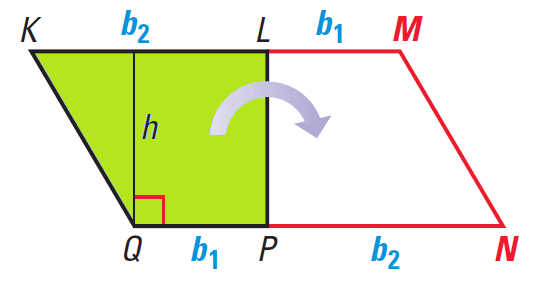 The area of a parallelogram is the product of a base and its corresponding height. The area of a triangle is one half the product of a base and its corresponding height. The area of a trapezoid is one half the product of the height and sum of the bases. 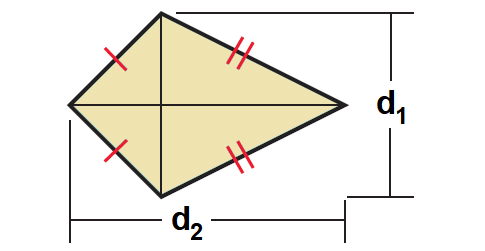 The area of a kite is one half the product of the lengths of its diagonals. 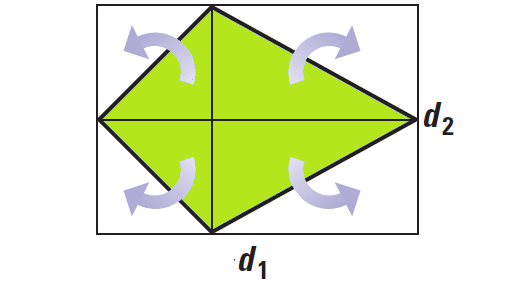 The area of a rhombus is one half the product of the lengths of its diagonals. 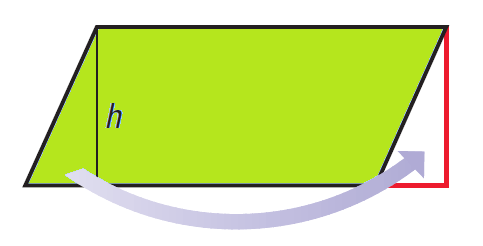 The area of a parallelogram is the area of a rectangle with the same base and height. It has been illustrated in the diagram given below. The area of a triangle is half the area of a parallelogram with the same base and height. 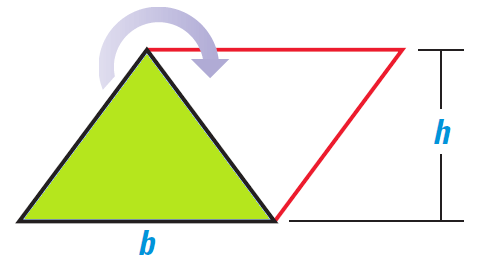 The area of a trapezoid is half the area of the parallelogram with the same height and a base length is equal to sum of the base lengths of the trapezoid. 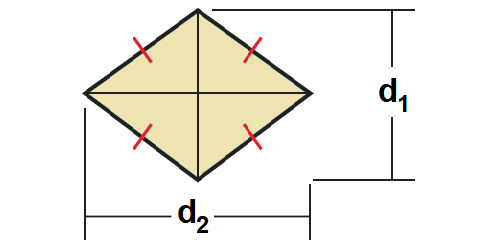 The area of a kite is half the area of the rectangle whose length and width are the lengths of the diagonals of the kite. The area of a rhombus is half the area of the rectangle whose length and width are the lengths of the diagonals of the rhombus. After having gone through the stuff given above, we hope that the students would have understood, "Area of Triangles and Quadrilaterals".